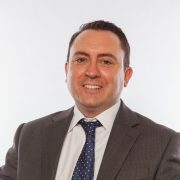 Neil joined T&A in 2003, becoming Director in 2016, managing a large team of quantity surveyors in Edinburgh. He has a wide knowledge base due to his involvement in various types of projects across the UK, ranging from offices, retail and industrial. He also has experience in numerous forms of contracts, including using the NEC.